Click on each thumbnail picture for a larger view. Use Back button to return. All the cars that I have owned - I think. I love this one most. Purchased in March 2005. It is more fun than anyone can imagine. 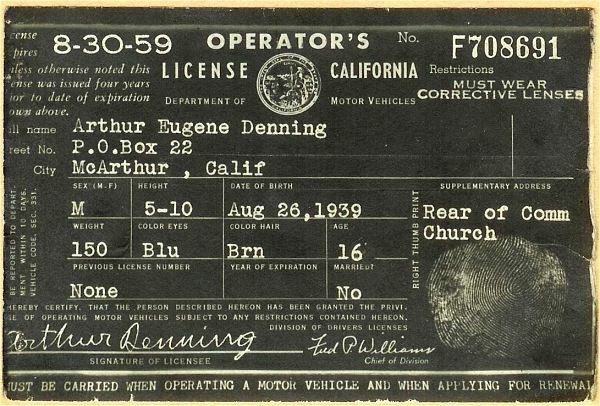 I received my first drivers license four days after turning 16 on August 30, 1955 over 51 years ago. 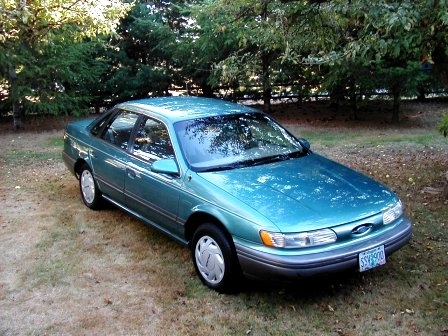 I had this car in high school and my first year in college. It was painted a bright metallic green and really burned oil. 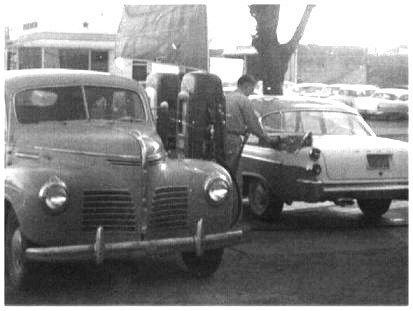 That is me pumping gas into the car with fins. I had this during my 2nd year in college in about 1958-9. 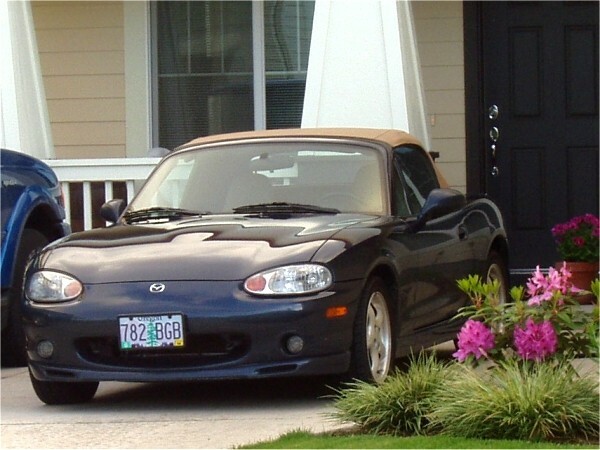 It was dark blue, and I removed the grill for a different look - cheap customizing. I went two years without a car. I lived within walking distance of downtown Eugene and the University of Oregon. 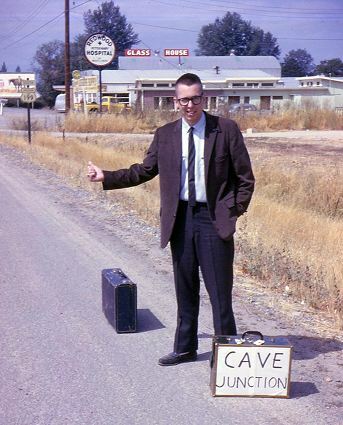 I used a bike and one time hitch hiked to Cave Junction, my parent's hometown. 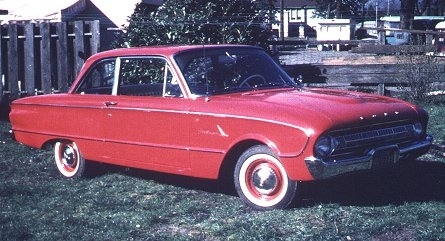 I bought this car in the Spring of 1962 to drive to my student teaching assignment. This is a double exposure, but my only photo. During my Senior year at the U of O, I had this. It was great for getting around and exploring Eugene. 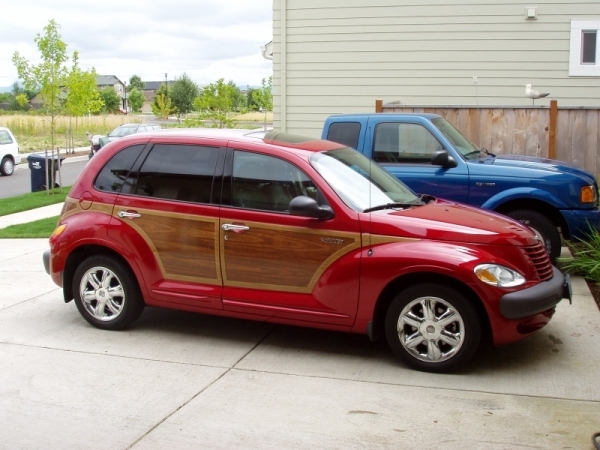 I bought this car the day after I became engaged to Laverne. 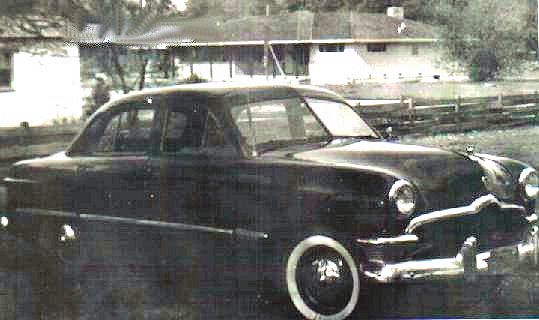 It was our honeymoon car. 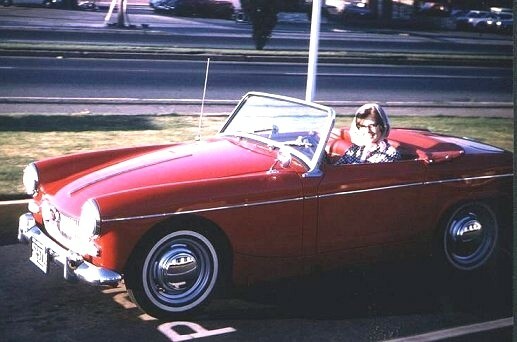 I traded it off in 1964 to get my first MG.
Small, handled well, a car that I never really got over. 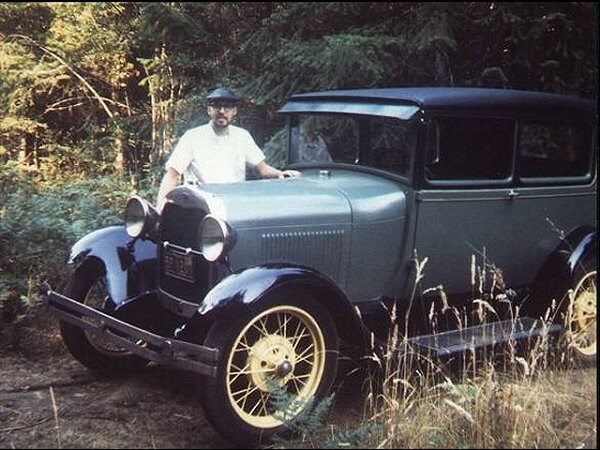 It was our only car until I got a Model A Ford for a hobby. 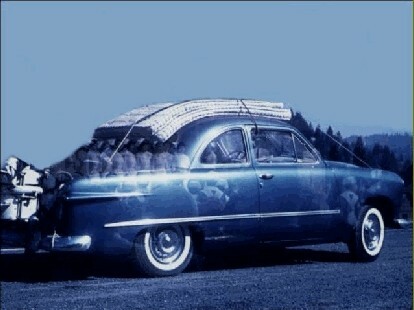 It was the last of the MGs without roll up windows. Laverne learned to drive with this one. On a camping trip in Eastern Oregon. Space was so tight we had to be clever in packing. Two sleeping bags, one tent, a two burner cook stove and clothes. Also, 1 year old daughter Camille tucked in behind the seats. 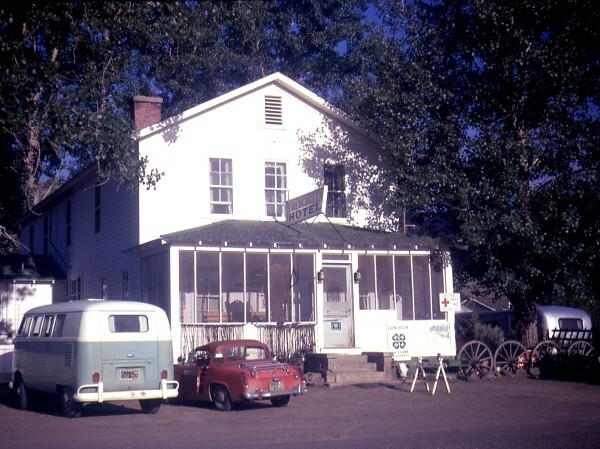 An overnight stop at the French Glenn Hotel before crossing the dessert to the Hart Mountain Antelope Refuge. I was getting ready to paint it. I didn't have a garage to work in. 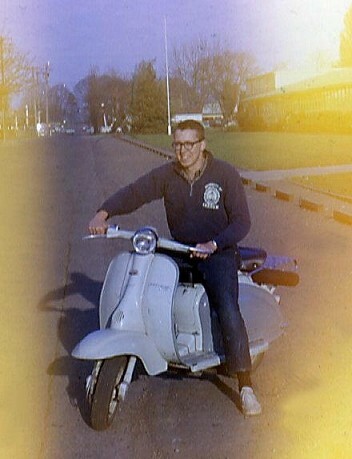 I purchased it around 1966 and partially restored it to the way it looks in the photo. After we moved to Alaska I had it shipped up. Camille's cat had kittens in the back seat. I drove it very little and ended up selling it in 1972. What a box. Very practical. This was before vans were popular. 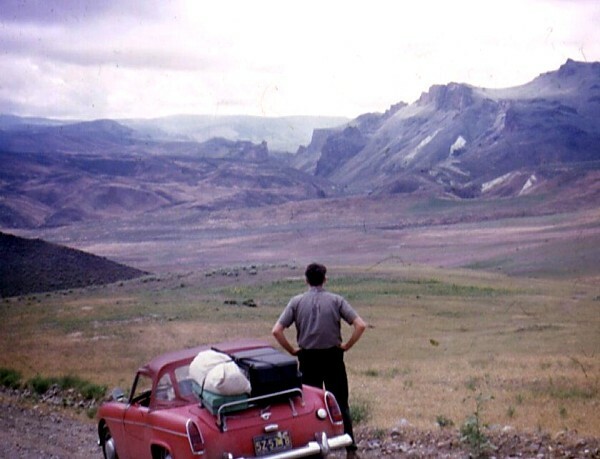 I traded my MG for it in 1968 so I would have something for a move to Alaska with. It was cold in the winter, no insulation on the inside. We camped in it wherever we went. 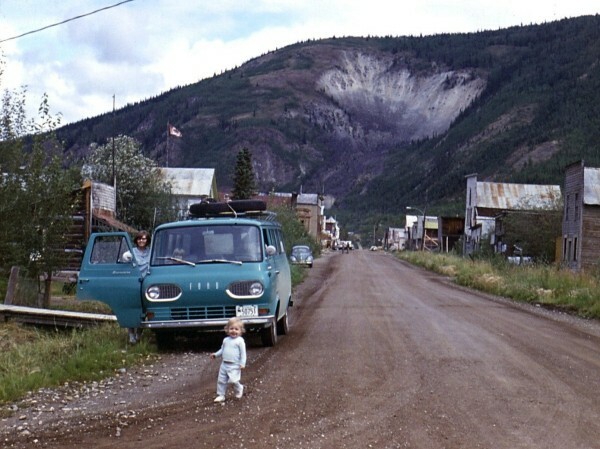 This picture is in Dawson City, Yukon, historic town of gold rush fame. 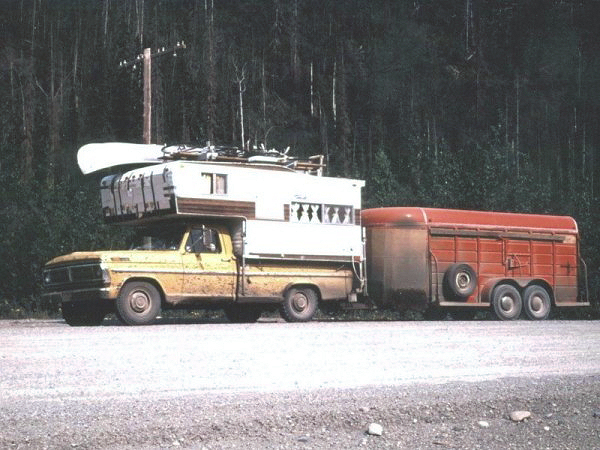 Notice the extra spare tires on the roof rack. That is Anne out front. We bought this car new and only kept it a year. It was good. 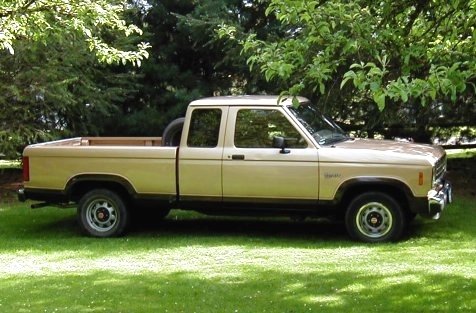 I had to sell it to get money to buy a pickup and camper. Mt. McKinley is in the picture. 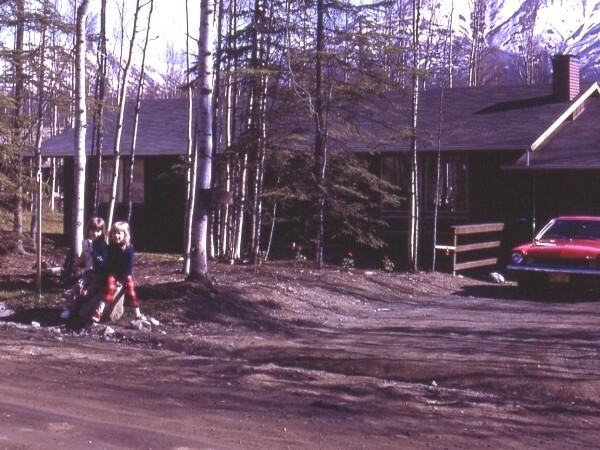 This is in the driveway of our home in Eagle River, Alaska. Daughters Camille and Anne are playing. It was right after breakup when the snow melts and things haven't greened up yet. 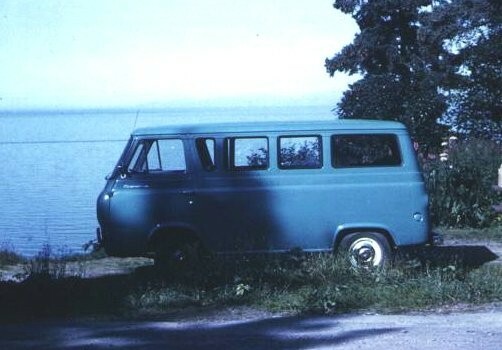 Purchased in 1972 with camper to take advantage of Alaska. We bought a canoe and tied it to the top and went most places that roads would take us. 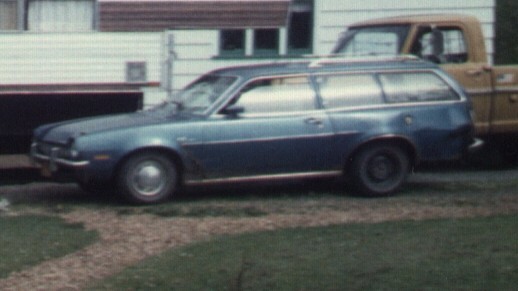 Roll up windows, wire wheels, a real improvement on our 1st MG. Bought this in about 1974. We carried two adults and two of my daughters in this whenever we went somewhere. It was great on packed snow. 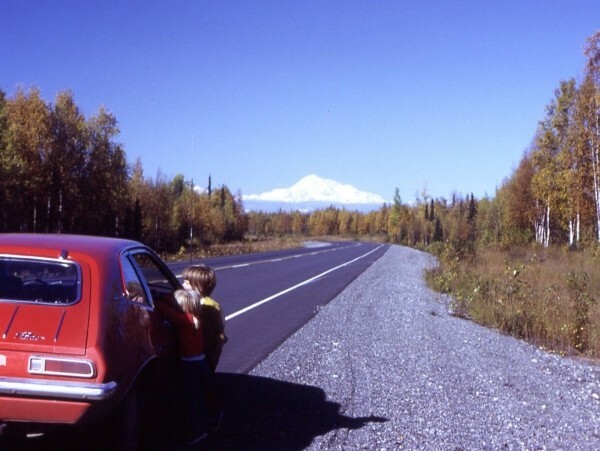 Everything packed up for a trip down the Alaska Highway when we left Alaska. 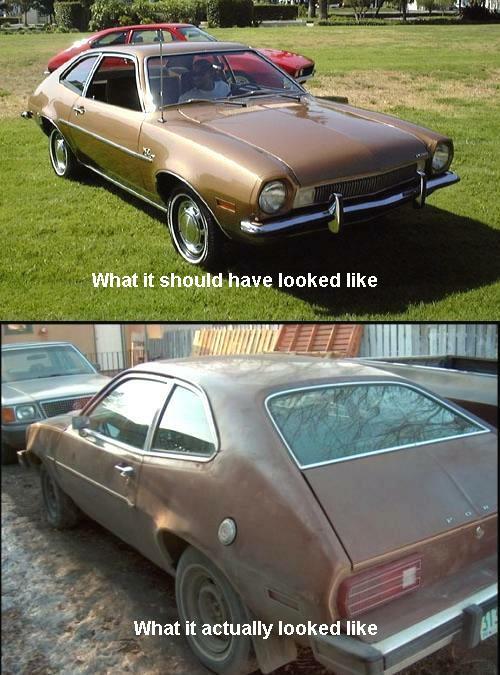 We had the Pinto shipped out. 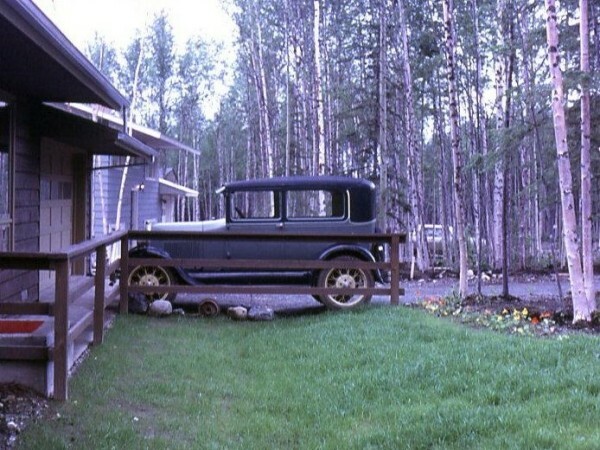 We bought this in Alaska in about 1977 to have more room. It was banged up, rusted, and embarrassed my teenage daughters. 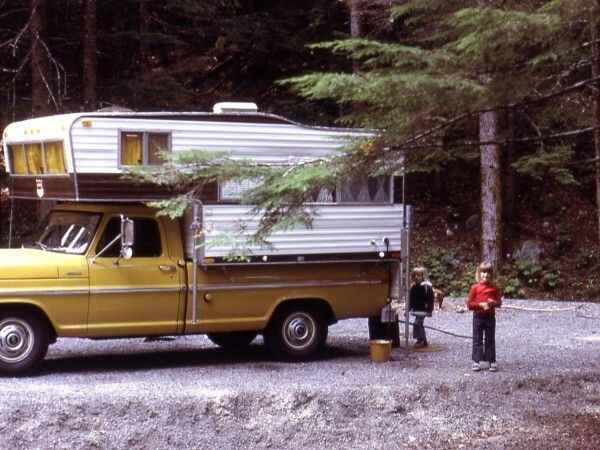 We brought it out to Oregon with us in 1980. This replaced the Pinto wagon and served very well for a few years. Put over 200,000 miles on it. It didn't make it in many photos. 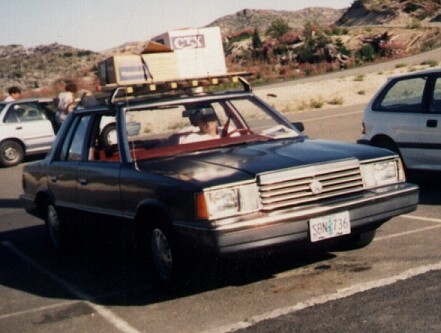 Here it had a homemade roof rack setup for moving some things. I bought this for Camille during her last year in college. It was a real beater. Differential locked up in Camas Valley once and had to be replaced. I don't have a photo of this, but this one is similar. 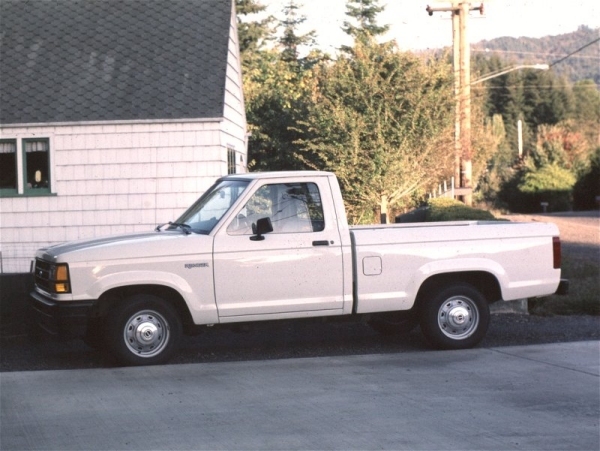 This was a replacement for the 72 Ford pickup. We had it about a year and sold it to get money for our next sedan. A great sedan. 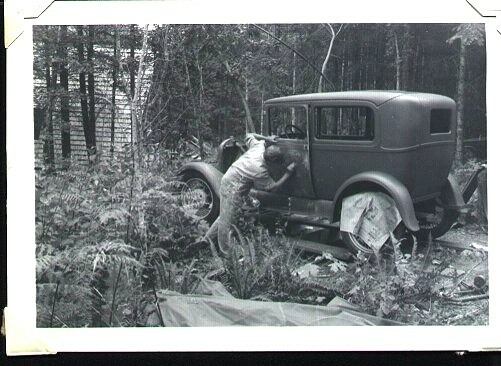 We had it until we inherited the Dodge Caravan from my mother. Drove it over 200,000 miles. Purchased in about 1996. Needed a pickup. Daughter Susan drove it in Grants Pass for awhile. Gave it to my son-in-law Todd who still has it. The white one. My mother, who had it and was called Granny, gave it to me when she could no longer drive. 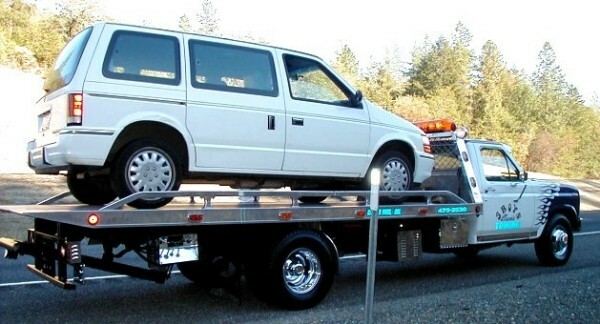 Everyone in the family refers to it as the "Granny Van." It just about died once on the freeway with a cooling system problem. Got it fixed and it just kept going. Daughter Susan was it's main driver in it's last days. 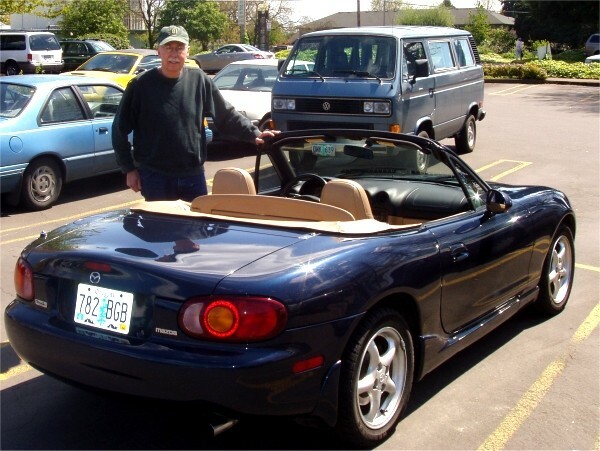 It had 217,000 miles on it when we donated it to St. Vincent DePaul in 2005. We had this for a very short time. It was great but hard to steer. No power steering. Susan was the main driver. It got slammed in the left rear and became undrivable. 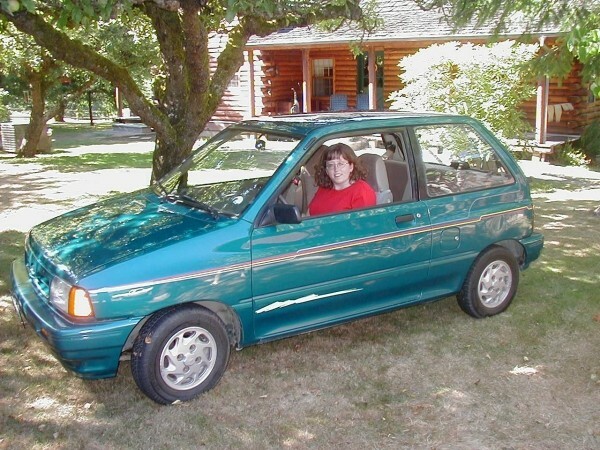 Alas, poor Festiva. Purchased partly with credit card points. Very nice. We still have this one. Laverne is the primary driver. Back to my toy. This car gives me more kicks than any other vehicle I have owned. In the driveway, ready to roll. 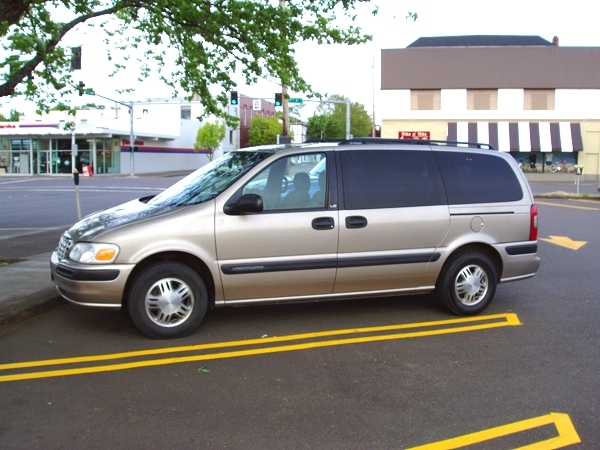 Purchased July 2005 to replace the "Granny Van." Bruce & Anne sent me the money to purchase it for them. They will took it off my hands in June 2006 when they arrived from China. My possession of it was for two months. Never had a Chevy before, probably will never have one again. 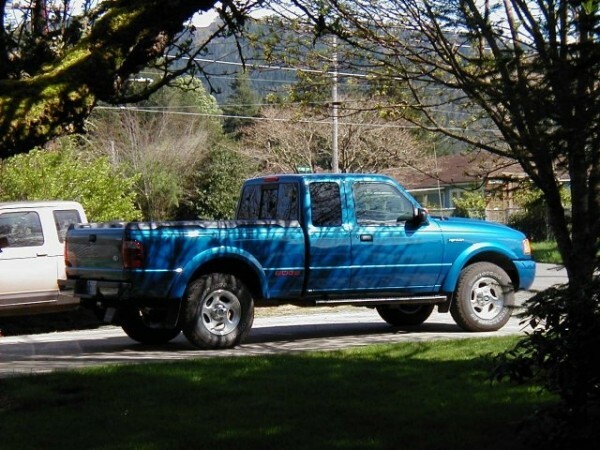 I am mostly a Ford guy. 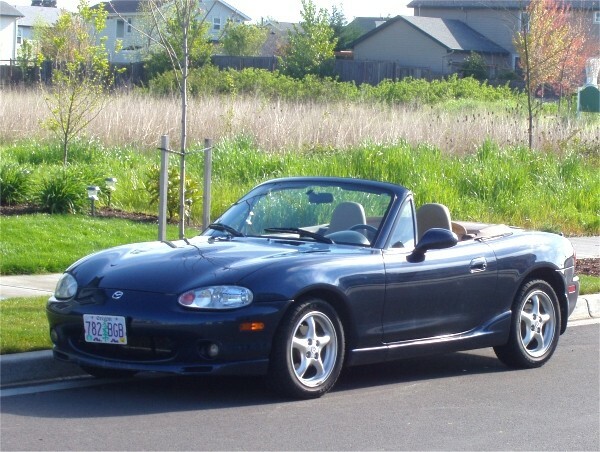 I have just the Miata, Ranger, and PT Cruiser now.